WooCommerce is one of the most popular e-commerce solutions, as it is integrated with WordPress, the content management system that powers 25% of the internet. 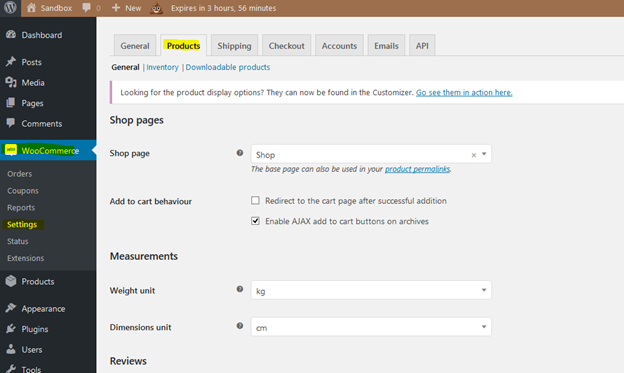 As such, plenty of themes that support WooCommerce can be found, both free and premium. And, as it always happens with WordPress themes, some are of better quality, design, code, security and frequently updated, while some others might not be up to par or break in a future WordPress core, or WooCommerce update. However, an ideal theme does exist and, what is more, it is completely free to use. 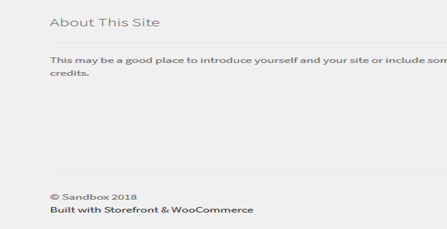 Developed by the WooCommerce core team, Storefront is a robust theme, guaranteed to always work with every next WordPress or WooCommerce update (since it is developed by the nice people of Automattic), it is responsible, tightly integrated with Woo and all the related extensions. 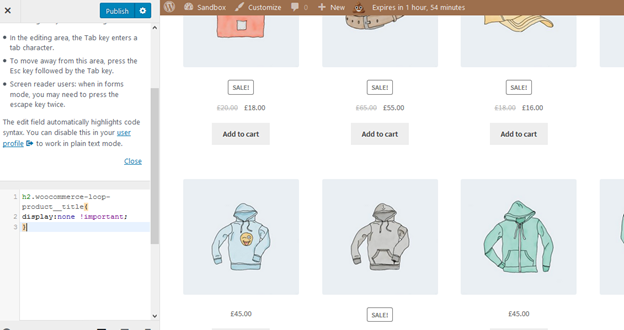 Storefront is based on the Underscores starter theme, making it very easily customisable for a developer, since every line of PHP and CSS code is very well commented and organized. 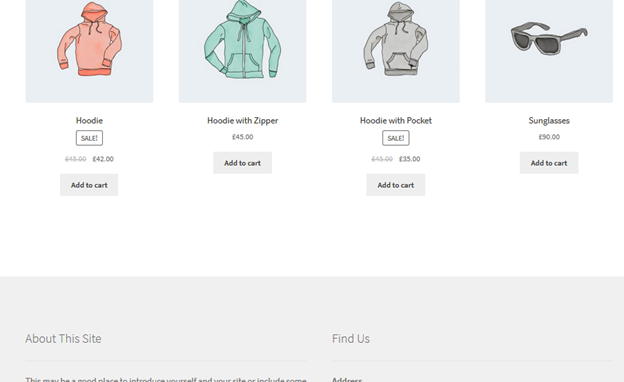 Nevertheless, for the more casual user, it might seem a bit complex to customize and to make it unique and representative for their online store. In this tutorial, We will share solutions for the most common modifications that will help you personalize your site. 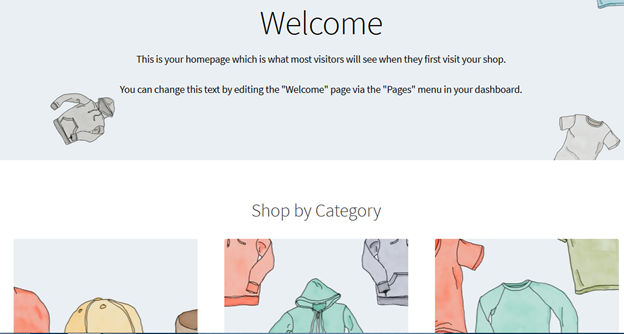 Before we proceed with this guide, we will create a child theme for our Storefront theme. Child themes are small themes, dependent on their “parent” theme, which can override the stylesheets and custom functions of the parent theme. This is very important, as, by creating a child theme, we can upgrade Storefront safely, without losing our custom work. To read more about child themes, check the official WordPress documentation. A very easy way to create a child theme with a couple of clicks is to use a plugin. The Child Theme Configurator plugin can help us with this; simply download and activate the plugina and follow the wizard to create your first child theme. We need to use the Theme Customizer, that you can find on your dashboard under Themes > Customize. Let’s select the “Site Identity” option and upload our logo. Storefront recommends an image of 470px x 110px size; however you can upload any size you want and choose later whether you want to crop it or leave the original size. After selecting and uploading your logo click: “Publish” and you are done! 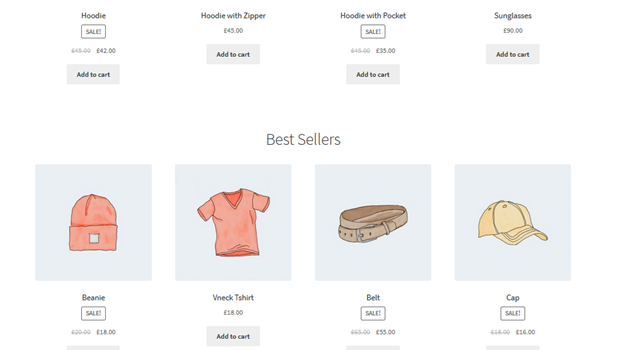 Storefront is a responsive theme by design; it adjust nicely to all screen sizes and, for small screens, the header menu turns to the familiar “hamburger” and displays our menu list as a dropdown. 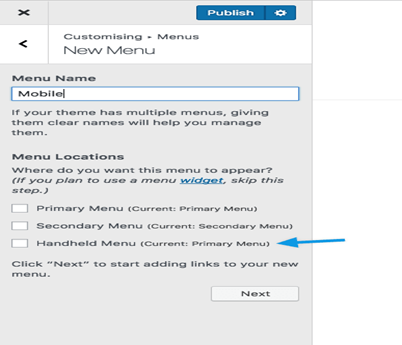 However, what if we don’t want to use the same menu items on desktop and mobile devices? Maybe we need to direct our visitors’ attention to specific places in the website and we want them visible above the fold in a small screen. Customer reviews is a standard functionality of WooCommerce and Storefront, of course, has a nice design integration for reviews. 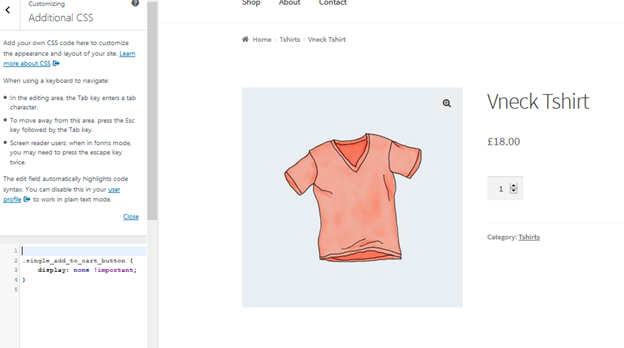 WooCommerce allows users to add images not only to products, but to product categories as well. 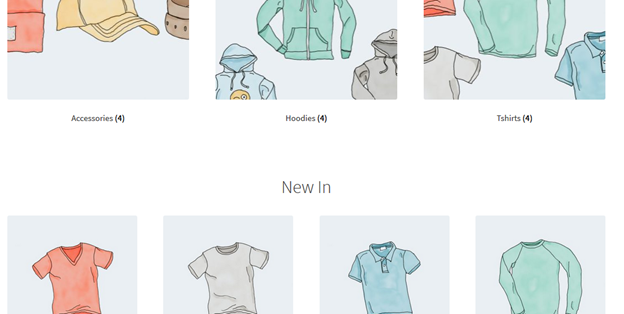 Storefront displays these images in the homepage. This might not be the desirable behavior; we might prefer categories to be displayed as text-only. 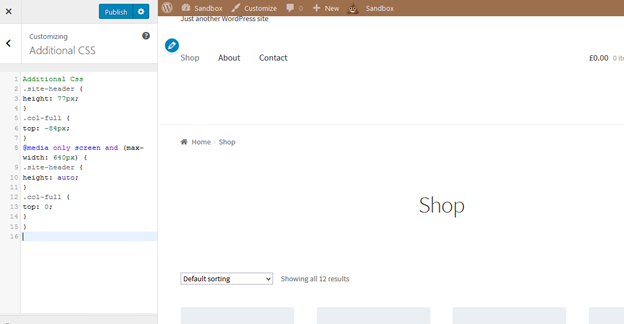 Changing the header’s background color in Storefront is very easy, as the Customizer allows us to go to Customize > Header and select the color we want. However, this option colors the background of all the header region, including the logo, search bar and login section. What if we only want to give a different background to the header menu? The above example gives the menu a red background color; of course we can change the color code (#f0f0f0) to the color we want. Suppose we want to add a “Thank you”, or promote our email list, or offer discount vouchers for our new registrants. 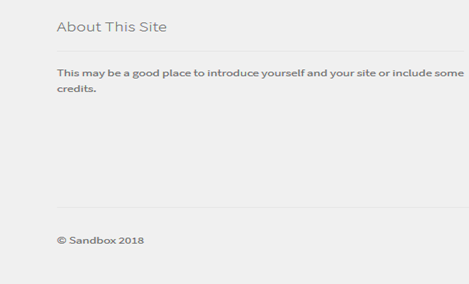 A great option would be to add a message in the registration page. Breadcrumbs (see image below) is a compact navigation on the top of each page that shows the category to which the page, or product in this case, belongs. They are great for search engine optimization, however we might not want to use this functionality. 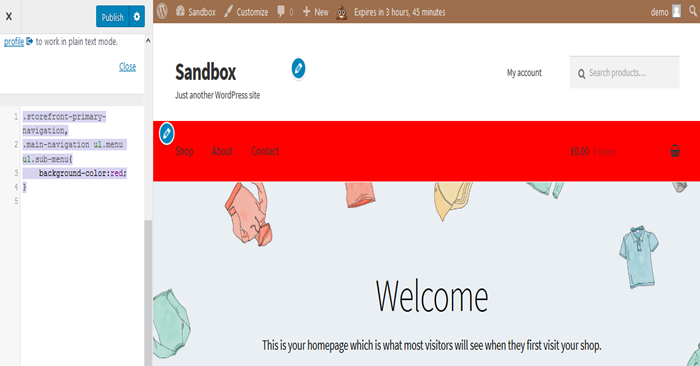 Storefront and WordPress themes in general, link the site’s homepage in the logo, by default. This is standard in user experience, and users expect to be able to go back to the homepage every time they click on the logo. However, there are occasions that we want a custom link for our logo. For instance, if we use a landing page, product or promotion page and the actual homepage is on a different location. 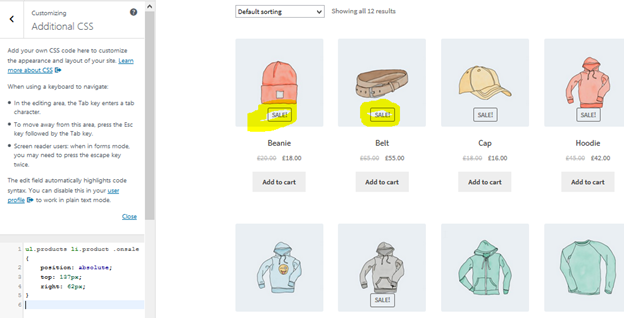 18- Remove product image from cart and mini-cart. Another feature of Storefront that might not be desirable, is to display the best selling products. For some products, the description, image gallery, and additional information might result to a long page. Instead of forcing the customer to scroll back up to the top of the page in order to add the product to cart, we could instead have a sticky “Add to cart” button on the top of the screen. 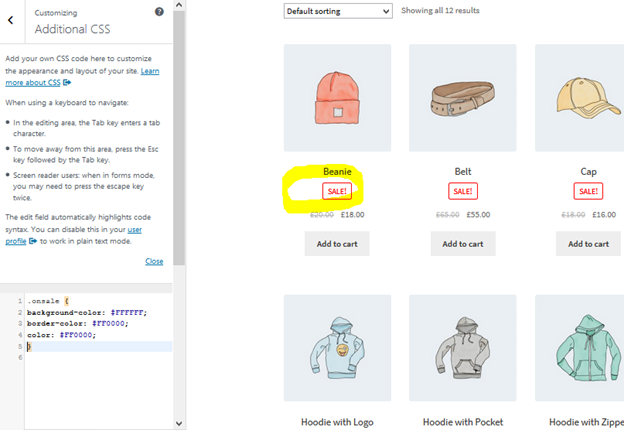 This is very easily accomplished with the Storefront Sticky Add to Cart plugin. 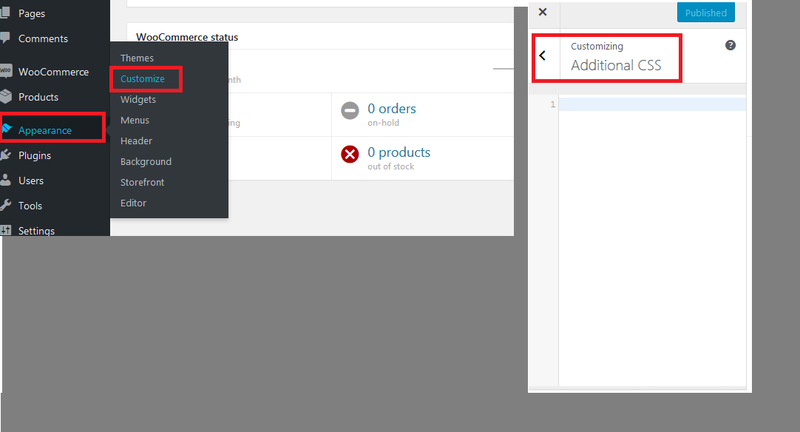 The plugin does not need any configuration, simply install and activate it, and enjoy sticky “Add to cart” buttons on all your product pages. 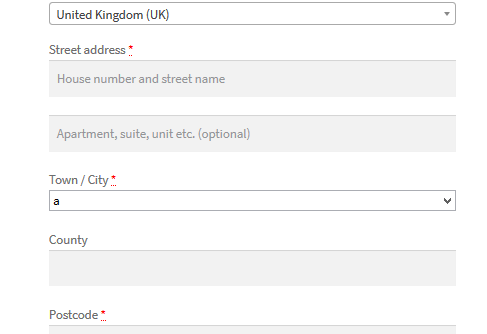 The following function will allow us to have a dropdown list of cities to your Checkout page. This will help our customers to fill in more quickly their personal data; it can also enable us to only make available the cities to where we ship our products. In the fifth line of the above code, we define our list of cities. The first part of the code 'a' => is the city’s ID, that cannot include spaces or empty characters, ex. 'london'. In contrast, on the second part of the code we write the name of the city the exact way we want it displayed, with capitalization, spaces if necessary, etc. Example, => 'London City',. We can add as many elements to the list as we want. 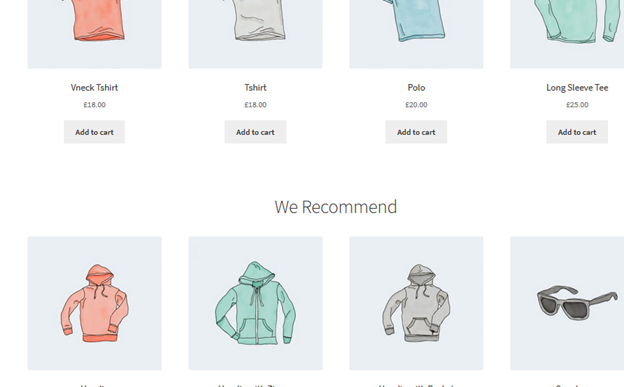 WooCommerce allows us to define a “sales”, or discounted price for certain products. 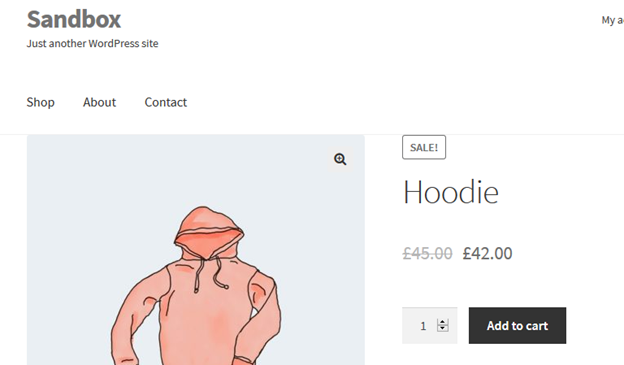 Those products are automatically marked with a “Sale” badge. When we follow the above way to change the theme’s header background color, we notice that the minicart dropdown inherits the header’s background color. This might not be desirable, as the minicart contents might not be readable with the header’s background color. 33- Add Image in Storefront Footer Using CSS Below Copyright? Inserting images in the storefront footer is crucial if you want to display a small logo, accepted payments, download link, or partner badge below the copyright text. 1. 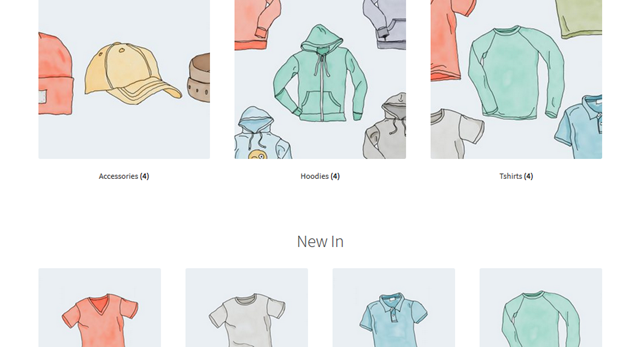 Head over to LAYERS → CUSTOMIZE, then, Click on FOOTER. 2. After that, Click on CUSTOMIZATION to expand the panel and click on Select Image in the Background Image option. 3. Select the image you want to use and click USE IMAGE. 4. 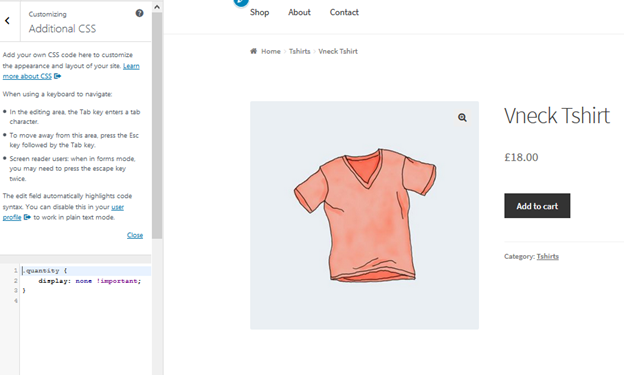 Then, Select No Repeat and Bottom, which will center your image in the footer text area. 6. Then, click CSS to expand the panel. Then, ensure you adjust the percentages of the image as desired, and in line with the copyright text.